When I first started blogging back in 2016 that when I first seen these two beautiful young women. I remember seeing the crowd going, wild for the twins. When they got off stage the crowd started was highly upset that when I knew these young queens had a gift. So, I had to asked these young women to represent as my "ladies" of the month for april. 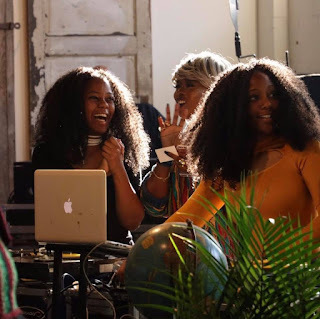 When you read this interview, you will see some intelligent lovely women who about to take over the scene. What kind of men you into and what do you look for in a man? 1. We are both single. The kinda men we are into are laid back. We're outgoing, loud, and eccentric, so we're into someone who is a tad bit chiller than we are. But that doesn't mean we like boring men. Lil Toot broke up with a guy because he way too boring for her. She's definitely the heart breaker out of the two of us. 1a We look for men to be just as independent as we are. We look for respectful men and we look for men that have something going in their lives. In other words, we don't like bug a boos, scrubs, or childish men. What's the craziest date you been on and or what your ideal date? 2. Dj Lil Toot's craziest date had to been when a guy got down on one knee to ask me out in front of my co workers, and then when it came time for the day for us to go on the date, he asked for me to pick him up and pay for him. And cursed me out when I told him no. So the date actually never happened. Because I was absolutely not about to pick him up and pay for him haha. Dj Big Toot says she hasn't been on a crazy date. But she knows that day is coming. 2a An ideal date for us would be some where involving music and very good food. Actually chicken. We love chicken wings with our whole heart! Can social media control your relationship or do we give social media all our power? 3. If you let it, emphasis on "If you let it" . We don't believe social media can control a relationship. We do believe some people do give social media all of their power. They get wrapped up in the likes and comments. Its fun, but all of that can be taken away from you in an instant. So why give it all of your power, time, or energy. What destroy a relationship faster: lack of trust or lack of communication? 4. We definitely feel like trust will destroy a relationship faster than communication. Without trust there is no relationship. If you can't trust someone, how are you even going to communicate. For you what more important in a relationship a spiritual connection or physical connection? 5. Definitely spiritual. If a man has a relationship with god that's really a plus with us. Prayer does a lot of things. We rather him talk to god about his problems than another woman. What is the key to a successful relationship? 6. We think key to a successful relationship is trust. Like Kdot said. "I'd rather you trust me than to love me". Love is blind and can be misguided at time. Hey guys! We are DJ Tootz! 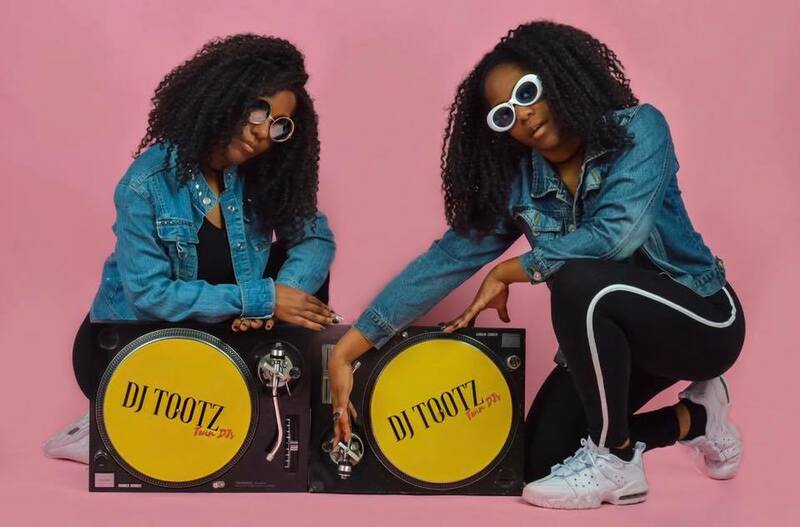 Twin Female DJ's in the Memphis area! DJing started with our dad. he wasn't a big dj. He did it as a hobby. He passed from cancer when we were 13. At the age of 16, like most girls, we threw a sweet sixteen. Our older brother Nick djed our sweet sixteen and mentioned to us that we should start DJing. At that time we said no because we only wanted to host parties. Around 2013 in college, we heard Big Sue on k97. Big Toot said "What if we started djing, we would be so cool!" Lil Toot thought it was a crazy idea and was not convinced at all. We emailed Big Sue and she gave us a guide as to what we will need to buy to start djing. It took us an entire year to get equipment but we worked hard, saved our money and finally bought equipment. We then asked Big Sue to teach us how to dj. To our surprise, she basically told us we had to teach ourselves. The rest is history. We will provide you event with life, fun, and laughs. We are very outgoing young ladies who love to have fun behind the tables. We will emcee, dance, and make sure the party is one to remember. Big or small we will provide lights, sound, mics, etc to your event. Women just do it better right? Why not have twins ! 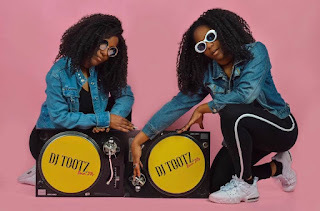 Book with your favorite Female Twin Djs, Dj Tootz!